SAN FRANCISCO (CN) – In a closely watched jury trial over whether Monsanto’s Roundup weed killer caused a Bay Area man’s deadly lymphoma, a lawyer for the agrichemical company sought on Monday to discredit a cancer-risk expert who said Roundup is carcinogenic, by implying he based his opinion on lucrative cancer-litigation consulting contracts, and not on scientific evidence. The expert, Christopher Portier, told an agricultural magazine that “nobody has paid me a cent to do what I’m doing with glyphosate. I have no conflict of interest whatsoever,” according to Kirby Griffis, an attorney with Hollingsworth LLP who represents Monsanto. 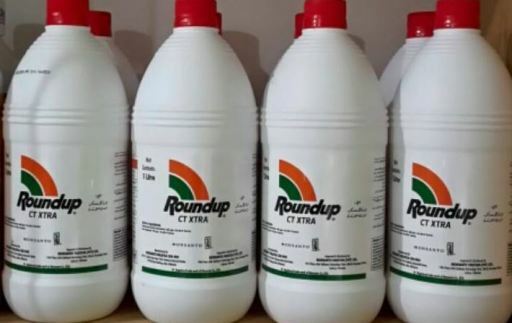 The magazine article was published shortly after the World Health Organization’s International Agency for Research on Cancer (IARC) classified glyphosate, the active ingredient in Roundup, as a probable human carcinogen. Portier advised the group of scientists reviewing the herbicide, but did not have a say in the decision. Griffis pointed out in his cross-examination in San Francisco County Superior Court that Portier had signed a consulting contract with a law firm representing patients suing Monsanto for causing their non-Hodgkin lymphoma just nine days after IARC announced its decision, implying Portier had purposely failed to disclose his alleged conflict of interest to the writer. When asked if the quote was accurate, Portier said he didn’t know. “I’m not absolutely certain it’s my quote,” he said, before adding that he disclosed his contract to U.S. and European regulators before submitting testimony and comments to them about glyphosate’s alleged link with cancer. Portier has slammed the methods used by regulators – including the U.S. Environmental Protection Agency and the European Food Safety Authority (EFSA) – to conclude that glyphosate is safe. He has also accused them of failing to follow their own guidelines for evaluating the chemical. The former U.S. government bureaucrat-turned consultant says his analysis of the research on glyphosate shows the herbicide causes non-Hodgkin lymphoma in humans, the disease from which plaintiff DeWayne Johnson is dying. Johnson sued Monsanto in 2016 after he developed cancerous lesions over most of his body. He alleges that Roundup caused his lymphoma after he was twice drenched in the herbicide while spraying it in schoolyards for his job as a groundskeeper. He also claims Monsanto has known for decades that Roundup is carcinogenic but didn’t disclose it for fear of disrupting its $6.6 billion global business. Glyphosate is the most widely used agrichemical in history. Monsanto introduced it in 1974, and its use exploded after Monsanto began selling “Roundup-ready” seeds – engineered to resist glyphosate – in 1996. More than 2.6 billion pounds of glyphosate was spread on U.S. farmlands and yards between 1992 and 2012, according to the U.S. Geological Survey. In a bid to portray Portier as an outlier whose expert opinions are tainted by his conflicts of interest, Griffis spent Monday’s nearly day-long cross examination juxtaposing Portier’s opinions about the potential causal link between glyphosate and cancer with those of regulators. “You said EPA was ‘so amazingly wrong;’ EFSA was ‘so amazingly, astonishingly wrong.’ ECHA (European Chemicals Agency) got one thing right,” Griffis said. “All the guidelines,” Portier replied, “warn against using” historical controls, a statistical tool in which old data is compared with new data from new trials. The use of historical controls, he said, resulted in the agencies discarding 30 percent of tumors found in a set of rodent studies. “It’s absolutely clear they’re not using [their guidelines] appropriately,” he concluded. Griffis turned to decisions by EFSA and the EPA’s Office of Pesticide Programs to exclude four studies from their evaluation of glyphosate for insufficiency, while Portier included them in his own evaluation following IARC’s announcement. The agencies excluded one study due to a virus in the mouse colony on which the study had been conducted, Griffis said. Malignant lymphomas were found in the study, he said, which correlate with viral infections. “There was no documented blood cytogenicity testing going on,” he said. Griffis moved on to a “skin-painting” study also excluded by the EPA as insufficient because it tracked only 20 animals, and only males. Such studies apply the chemical in question to the skin of the animal to assess carcinogenicity to the skin. Portier criticized the EPA’s decision to exclude the study. “They obviously don’t know the literature in skin-painting studies,” he said, because all such studies include 20 animals and only male animals. “Yes, that’s another thing you disagree with them on,” Griffis remarked. Next, Griffis discussed the Ames test, a common test to assess whether a substance can cause mutations, which can lead to cancer. He noted that the Ames tests on glyphosate have been “overwhelmingly” negative for a link with cancer. “I’m not certifying that EPA is correct on the negatives here,” Portier replied. On redirect, Portier said a reassessment report of glyphosate by the Federal Institute for Risk Assessment, a German agency that participated in the EFSA review of the chemical, contained verbatim passages written by herbicide manufacturers. He also explained that the magazine article in which he had been quoted had discussed his brother, Kenneth Portier. Kenneth Portier sits on the EPA’s Scientific Advisory Panel, and glyphosate manufacturers had sought to have him removed from the panel “because he’s my brother,” Portier said. Portier takes the stand again on Tuesday before Judge Suzanne Ramos Bolanos.